In the 1970s, Dr Ronald D Schultz – the world’s leading veterinary vaccine expert – questioned why we were vaccinating dogs and cats every year when we don’t vaccinate humans every year. He began to trial veterinary vaccines to establish how long immunity lasts in dogs. 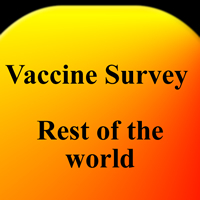 "A practice that was started many years ago and that lacks scientific validity or verification is annual revaccinations. 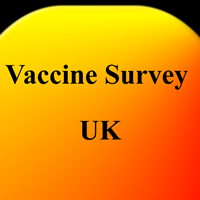 Almost without exception there is no immunologic requirement for annual revaccination. Immunity to viruses persists for years or for the life of the animal." At the beginning of this century, the World Small Animal Veterinary Association set out their vaccine guidelines. They distinguished between ‘core’ vaccines (for distemper, parvovirus and adenovirus/hepatitis) and ‘non core’ (all the other vaccines, of questionable need). The WSAVA told us that we should vaccinate against the core diseases no more frequently than every three years, and added that immunity to canine viruses is long-lived – probably for life. But this information is slow to get through to veterinary practices. According to the British Small Animal Veterinary Association in 2011, nearly half of vets in the UK are still advocating unnecessary annual boosters, but which ones?. Other countries aren’t too different. The way things are going, it will take years before ordinary pet owners can save themselves the cost of vaccinating their pets annually, and the animals themselves are no longer exposed to vaccine side-effects (such as cancer, leukaemia, arthritis, brain damage, epilepsy, behavioural problems, and a wide range of immune-mediated illnesses). 1) Get a true picture of veterinary vaccine use. 2) To provide a resource for dog owners. 3) Give the PWA the information to campaign further for necessary change. Results, when substantial enough, will be publicised on this website and in supporter newsletters. Survey entries may already have been submitted for the vet/practice you wish to input details for, so it may be worth checking on the vet list page before you contact that particular vet/practice. 1) Make a note of the questions (or print off the questionnaire here). 2) Speak to the vet/practice you wish to enter details for and complete the questionnaire. The form is not for you to give your vet to fill in, it is for you to ask the questions and submit the form to us. You can ring the vet, or see them in person, whichever is most suitable for you. 3) Enter the details on the survey form below (choose UK or Rest of the world below) and click on the submit button. To take part without internet access the completed printed forms can be sent to Pet Welfare Alliance, Gardeners Cottage, Kirklands, Ancrum TD8 6UJ, UK. You can enter details for as many vets/practices as you would like to contact - the more entries that are made, the more we can take the campaign further.